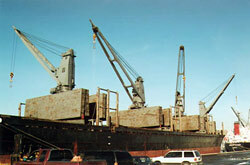 AquaMar Shipping Inc. arranges freight forwarding worldwide exporting from Vancouver, B.C. and importing to Vancouver, B.C. 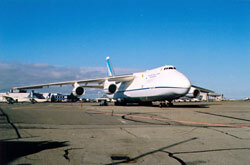 both by air and ocean freight. We utilize airlines such as Air Canada, Lufthansa, British Airways, KLM, Air New Zealand, Cathay, China Airlines and now Virgin. Through our global network we provide you with a seamless service – be it to Europe, Asia, Australia, Africa or Latin America. With that same network we also provide import shipping services from almost every country around the globe. Shipping overseas is what we do – both by air and ocean - be it machinery, artwork, personal effects, excess baggage, over-dimensional cargo, automobiles, cars, trucks, excavators, electronics, yachts, power or sail. 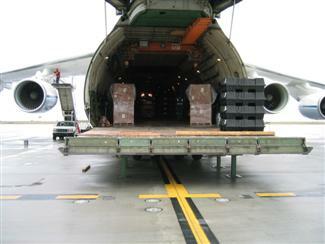 Also Projects, heavy weight cargo, Trade Shows and Exhibitions. Door to port; port to port; door to pier; or door to door. All business handled by AquaMar Shipping is subject to our Standard Trading Conditions. These Trading Conditions are identical to the latest Trading Conditions of CIFFA (Canadian International Freight Forwarders' Association) - which AquaMar Shipping is a member of. Click here to view the Standard Trading Conditions of The Canadian International Freight Forwarders Association, Inc.
AquaMar Shipping is registered under Transport Canada's Air Cargo Security Program as an approved Air Cargo Security Participant. Cargo Transit insurance is for more than just loss or damage – but also to provide the necessary financial guarantees if a ship-owner declares General Average. AquaMar Shipping provides the appropriate covers for your situation. 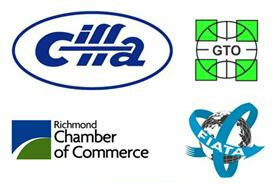 AquaMar Shipping is a member of CIFFA, FIATA, GTO, the local Chamber of Commerce and the Better Business Bureau. Through our membership in GTO (Global Transport Organization) – we can provide you with global coverage regardless of the INCO Terms – be they CIF, CIP, DAP, FAS, CFR, DAT. Most countries around the world now insist on ISPM 15 wood crating compliance. AquaMar Shipping, on request, attends to all such packing requirements. AquaMar Shipping personnel are experienced, extremely helpful, knowledgeable and anticipatory and therefore eliminate potential problems... before they materialize. However, we are also extremely Customer Service oriented and therefore our response time is second to none. Place yourself in safe shipping hands. 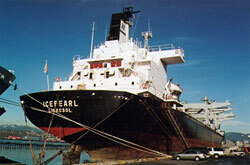 Avail of Aquamar's international shipping experience.